Brookhaven Park is a 20.8 acre passive neighborhood park located at 4158 Peachtree Road. The entrance to the park is on Osborne Road and the park is located behind the DeKalb Services Center with whom it shares its site. 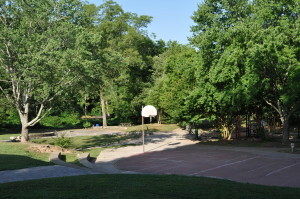 The park is owned by DeKalb County and is operated and maintained by the City of Brookhaven Parks and Recreation Department. 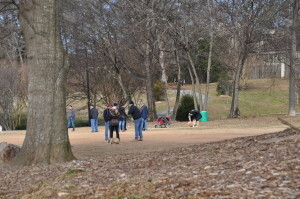 Prior to its use as a park, the site was the home of the Veteran’s No. 48 Hospital. 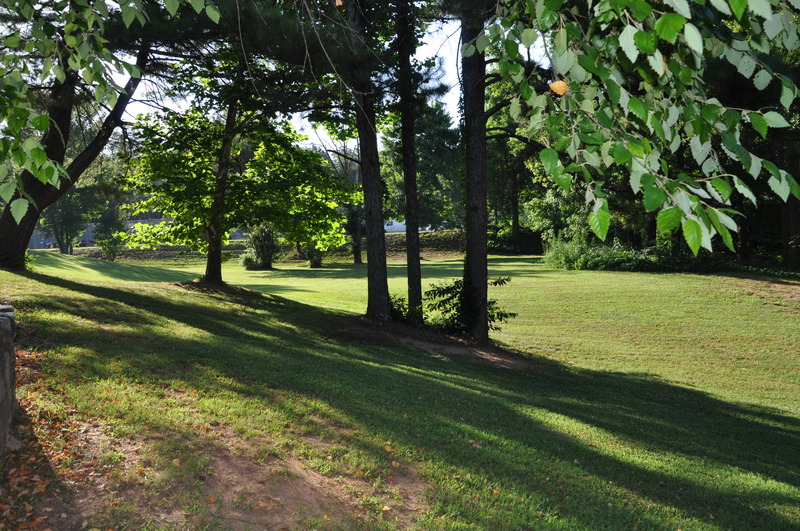 The park is loved for its expansive natural open spaces with gently rolling terrain and mature trees. It has an open use sports field available on a first come, first serve basis. Current uses include Ultimate Frisbee, soccer, volleyball, and kickball. 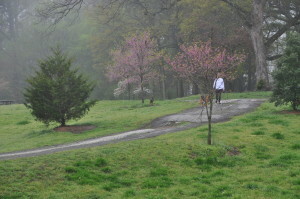 The park is dog friendly and has a walking trail that loops around the park. 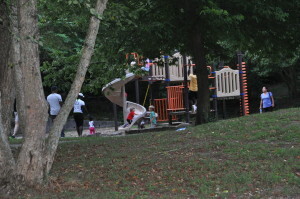 Other park amenities include a playground area and a basketball court area. 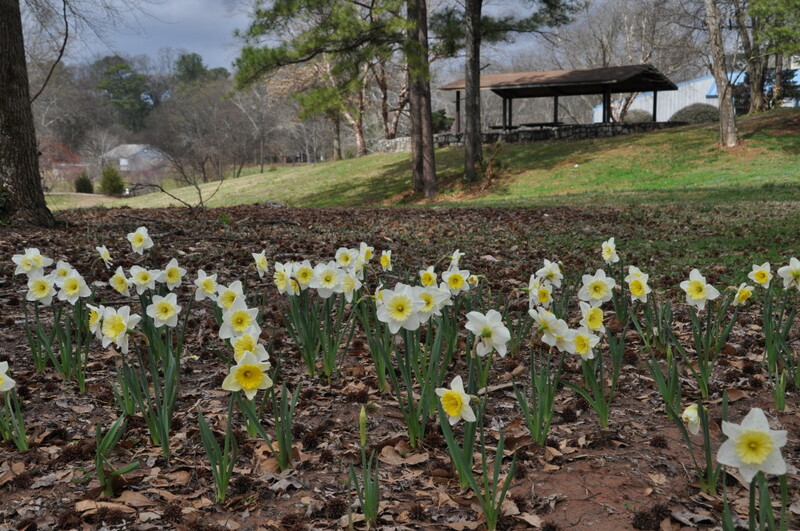 The park has a large covered picnic pavilion and a smaller covered picnic area (near Peachtree Road) as well as multiple picnic tables throughout the park. The picnic pavilions are first come, first serve but may be reserved through the Brookhaven Parks and Recreation Department. The rental fee for reserved time is $25/hour for residents and $50/hour for non-residents. A $50 deposit is required. The park’s proximity to the Brookhaven MARTA station and its parking facility makes it an ideal location for festivals and other events. ● There are no restrooms available in the park. ● Parking is limited particularly during the operating hours of DeKalb Service Center when its parking lot is reserved its use. Consider walking if you live close by! ● Park hours are 7 a.m. to sunset. The park does not have outdoor lighting in the evening. Please contact the City of Brookhaven if you have any concerns or issues with the park’s maintenance, operation or security at the Brookhaven Parks and Recreation Department. A full set of rules can be found at Brookhaven Parks and Recreation Department park rules.